What’s this? A swatch? Yes! I feel so bad that I can’t post as consistently as I used to. I have so beautiful swatches to share, especially after The Indie Shop, so I’ve got to get through the ones I did months ago. Today’s treat is Essie’s Penny Talk; I’m wearing three coats alone. 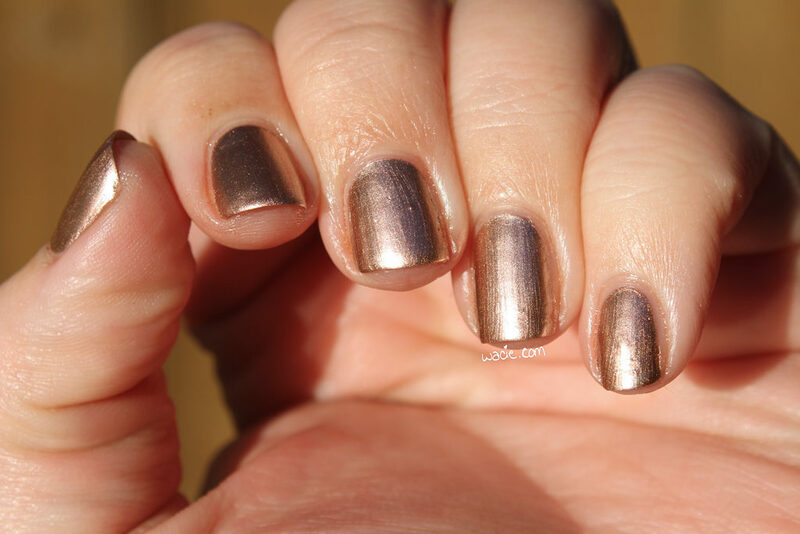 Penny Talk is a copper metallic polish. The product consistency was pretty typical of an Essie polish; it was a little on the thin side, but still delivered good coverage. I had full coverage in two coats. You can see there are some brush-strokes, but this is pretty typical of metallic polishes. It dried pretty quickly and with the metallic, shiny finish you see here. This was the first Essie polish I ever bought that wasn’t a glitter topper, and it’s a pretty special polish to me. It’s also something that’s pretty unique to my collection. I know makers have been doing metallic polishes on and off for decades now, but these are the mainstays in my collections. I am such a huge fan of them. Essie polishes are sold in drugstores. I got this one at Walgreens. 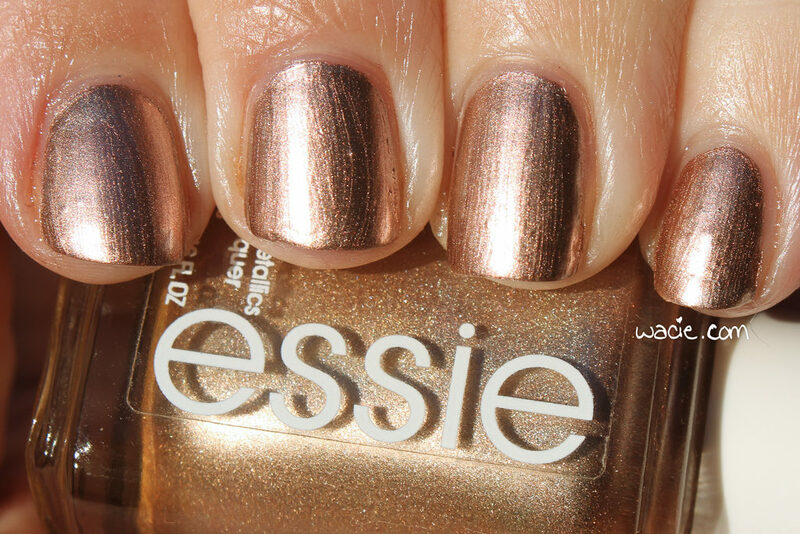 This entry was posted in Swatch Sunday, Swatches and tagged copper, Essie, metallic, swatch. I have thisnone and love it as well! I have at least 3 bottles of this. Its fantastic for stamping! I have this on now and have gotten so many compliments! Clinique used to make an eyeshadow called Penny Talk that I wore all the time. It’s fun that I could get a polish with the same name and wear it. Penny Talk is such a great metallic shade and one of my favorites! I think I have this one, or gave it to my mom! It is nice! This shade is lovely and I hear it stamps perfectly too! I like this color but wish the formula wasn’t so brushstrokey. Wow penny is definitely the right name for this polish. Very nice! What a beautiful shade! It will be perfect for the sunny days ahead. I heard this one is a great stamper! Classic shade. I remember when this metallic collection came out…I was crazy driving all over town looking for it!! !